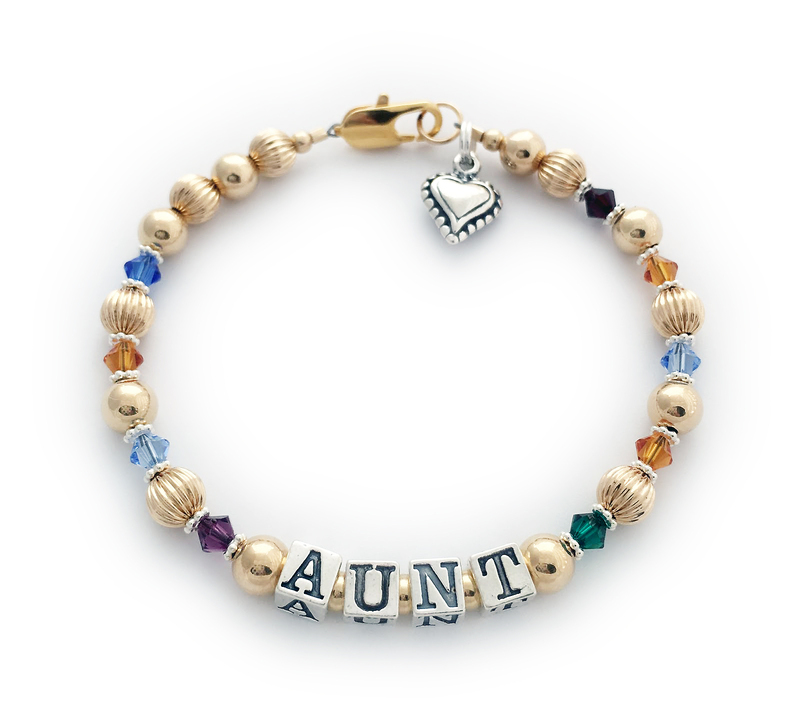 Gold Birthstone Bracelet for mommy or grandma! 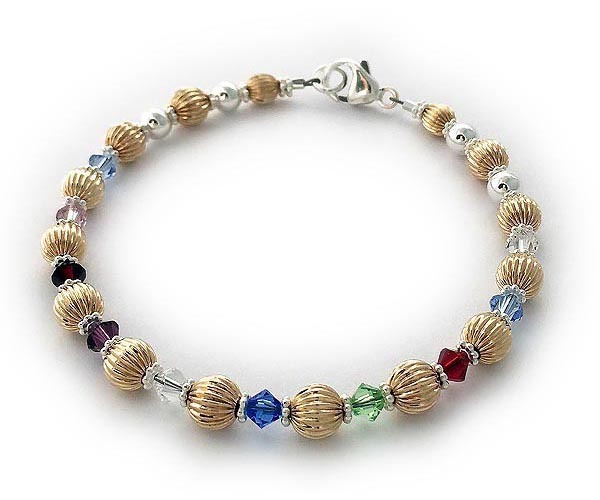 I used 14k gold-filled, .925 sterling silver and flower spacer beads on this gold birthstone bracelet. Details: Alternating corrugated 14k - 6mm 14k gold-filled corrugated beads with 5mm sterling silver smooth round beads with 3mm sterling silver flower bead spacers. 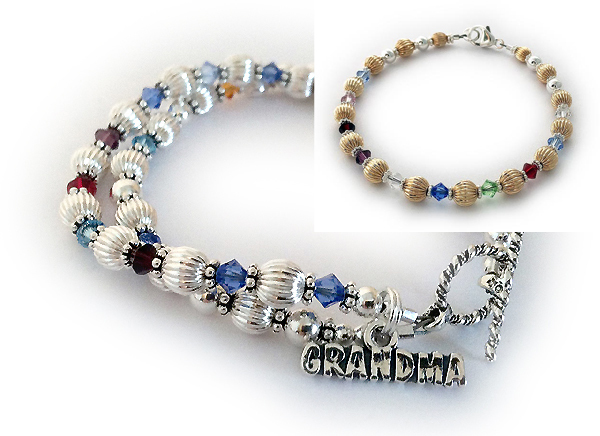 Shown with an upgraded 14k gold-filled lobster clasp and a Beaded Heart Charm. 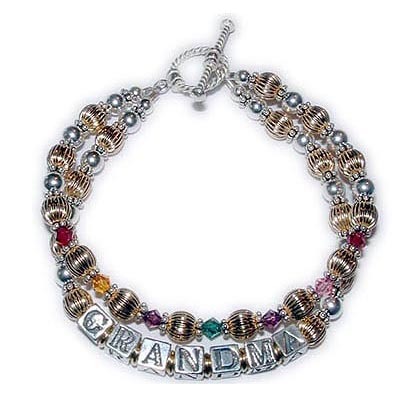 I can also do this bracelet in Sterling Silver and no gold.